Evolving about 350 million years ago, the Australian Lungfish (aka the Queensland Lungfish), Neoceratodus forsteri, represents an ancient animal line, more precious than the Wollemi Pine. Of the six living lungfish species found worldwide, our native species is the most ancient and distinctive. As a child I was fascinated by prehistoric creatures. Instead of fantasising about football I fantasised about keeping weird pets, lungfish included. Lungfish are so ancient they predated the dinosaurs, the conifers, the cycads and all flowering plants. When lungfish first evolved the world was more evenly warm and wet and there were no polar ice caps. Now extinct giant clubmosses and gloriously bizarre ‘seed ferns’ flourished so abundantly that their semi-decomposed remains formed vast seams of coal. Few plants from those times have survived apart from mosses, liverworts, lichens, the native Fork Fern, Psilotum nudum (which happily grows here in my garden); the King Fern, Angiopteris evecta and the diminutive Tmesipteris fern, two of the few surviving ancient ferns. By comparison to lungfish the platypus and the echidna are high tech. “Long, heavy bodied freshwater fish with five pairs of gills and fins which resemble flippers. They are called lungfish from their ability to breath air via a ‘lung’. Adult lungfish can grow to more than 1.5 metres and weight up to 40 kilograms”…and that ”fossil remains of this species have been found in New South Wales dating from more than 100 million years ago”. While lungfish were relocated to other rivers and dams in SE Qld over a century ago it is believed that these populations are not viable due to limited genetic variation and fact that these locations, while suitable for these long-lived fish to survive, are unsuitable for them to breed. In one stroke the removal of waterside plants from Enoggera Dam (in Brisbane) converted if from a potential breeding site into a retirement home. Those lungfish have had a long and lonely, barren existence – they live up to 100 years. Or we think they do. We’re not sure, because no thorough scientific study has been completed. The DEH assumes that the lungfish population will significantly decline for this reason alone. Further human-driven habitat loss or Climate Change environmental stresses may easily push the lungfish from ‘vulnerable’ to endangered within one generation. We don’t know if this fish has commercial potential – is it the next barramundi? Proposals to dam the Mary River in 2006 is very likely to make the Australian Lungfish move closer to extinction than anything that’s happened to this species in the past 350,000,000 years. This fish has outlasted the Age of Coal, the Age of Dinosaurs and a variety of Climate Changes. Sad to say this species’ doom seems to be ensured because of the Queensland government’s reckless rush to destroy that which nurtures our society – the environment of SE Queensland – so that people can carry on wasting drinking water. Stop any further damage to Australian Lungfish natural habitat and other viable breeding populations in the Burnett and Mary Rivers. Now. As a curator I know that because so little is documented about the ecology of this species the next prudent course of action is to develop a plan of management. No plans for dams can be discussed until this study is completed by an independent conservation panel comprising of scientists, community representatives, the Queensland Conservation Council and government representatives, with each representative group being given equal weight (eg grassroots democracy in action). The people of Queensland need to take legal action against the state government proposal to dam the Mary River. Hopefully the Environmental Defenders Office (the EDO), the Worldwide Fund for Nature (WWF-Australia), the Australian Conservation Foundation (ACF) and the Queensland Conservation Council can initiate such action. Now. The Queensland government recently legislated to end land clearing. Land clearing is just what damming rivers is about. Dams just use water and concrete instead of chaining and chainsaws to destroy habitat. 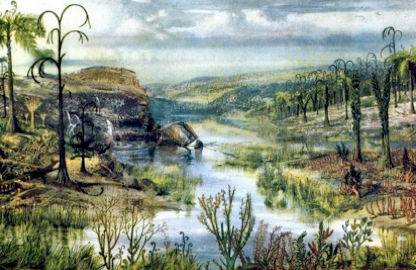 One of the few things conservationists know about Australian lungfish is that for this species to breed they need a mosaic of deep pools, lagoons and slow-moving bodies of fresh water lined with a diversity of riparian, marginal and aquatic plants currently found in the Burnett and Mary Rivers. A dam is just the aquatic equivalent of a broad acre land crop – it radically simplifies a diverse mosaic of habitats into, converting them to a monoculture – let’s call it a ‘monoaquaculture’. If you do understand 1 & 2 then you can find out what the impact will be if you need to improve production effectiveness, reduce overheads, etc. These simple principles can be applied to more complex living situations. Seems like SE Qld’s drought in leadership includes a drought in management, because managers in government agencies trusted to protect the environment and biodiversity cannot themselves answer these questions. “Evidence suggests that in recent years only small numbers of young lungfish are growing-up into adults. In addition, changes to the quality and extent of breeding habitat appear to be reducing the likelihood of successful spawning. Two of the key problems affecting the lungfish are the flooding of suitable spawning sites and physical barriers that block the movement of adult lungfish to the remaining breeding sites. While the waters of dams and weirs provide feeding habitat for the species, they rarely provide the shallow water and dense cover of water plants like ribbon-weed which the lungfish need for successful spawning. In addition, dams and weirs do not provide suitable nursery habitat for the species as the young also require a cover of water plants. Because of the long life span of the lungfish (with some research suggesting that the fish may live up to 100 years) the lack of breeding success may not become evident in the adult population for many years. It is estimated that there has been a 26 per cent loss or reduction in the amount of breeding and nursery habitat for the Australian Lungfish (the main channels of the Burnett and Mary Rivers). As a result, the adult breeding population is likely to undergo a substantial decline within the next three generations. In addition, exotic and translocated native fishes, such as the exotic Tilapia (Oreochromis mossambica) are believed to prey on lungfish eggs and young and compete with adults for breeding habitat”. “Listing of the Australian Lungfish as a nationally threatened species under the EPBC Act means that any action that is likely to have a significant impact on the species will need to be referred to the Commonwealth Environment Minister for a decision as to whether assessment and approval is required. It is an offence for any person to undertake an action that is likely to have a significant impact on a matter of national environmental significance without approval. Guidelines have been produced to assist people to identify whether their activity is likely to have a significant impact on a nationally listed species. These guidelines “EPBC Act Administrative Guidelines on Significance July 2000” can be obtained from the Department of the Environment and Heritage’s website or by contacting the Department of the Environment and Heritage. •activities that restrict access of adult Lungfish to suitable spawning sites”. The Queensland conservation movement and the federal government need to act in unison to secure a viable future for the Australian Lungfish before any proposals to destroy critical habitat get off the drawing board. This means ending the drought in good management of SE Queensland’s finite natural resources.